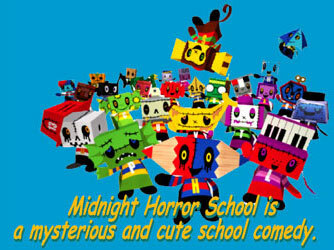 What is "Midnight Horror School"? Featuring ghost kids in a surreal elementary school setting, Midnight Horror School (HMS) masterfully blends mystery, fun, and horror for six through twelve-year olds in full-CG 3D animation. At night, classroom objects, that could be anything, transmute into "kid-ghosts" and "midnight school life" begins. A little scary, but irresistibly enticing. 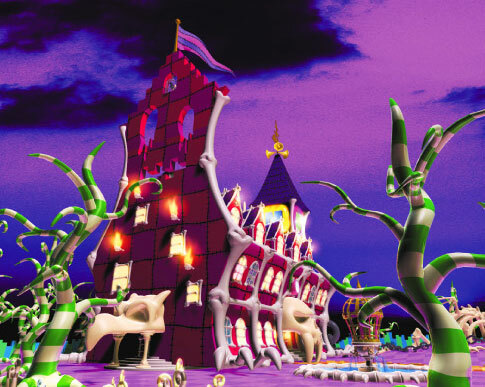 On the stroke of the midnight - as children drift into the dream land of slumber - their school transforms itself into a surreal schoolhouse. Familiar classroom objects suddenly transform into "ghost-kids"... and the fun begins! Enter our cast of characters: "Hikky", the pencil boy, drawing graffiti on the chalkboard; "Docky", a skeletal specimen who loves to slide down the handrail and timing himself; "Piranin", a quasi-fish person, floating in the pond and sighing "I'm dead tired...; "Tuby", a boy from a coloring book, forever searching for his cap, which is always on his head anyway. Something fascinating and bizarre is always happening at Midnight Horror School. A unique aspect of MHS is that no two character's names begin with the same letter. 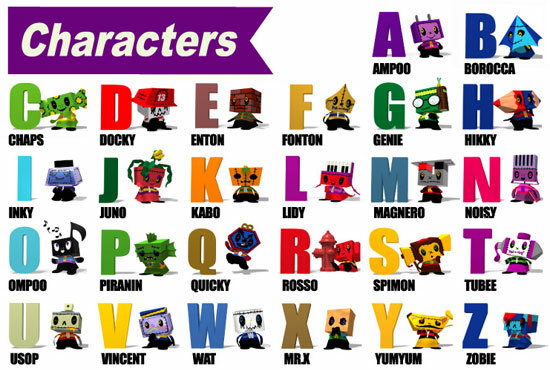 Each characters' name corresponds to a letter of the alphabet. We believe that this aspect will extensively broaden merchandising possibilities.